January sale time will be better for people in Manchester, Southampton, Gateshead and Doncaster, simply because their local shopping centres have chosen to optimise accessibility. The cities’ major shopping centres have all fitted Changing Places assisted accessible toilets, which enable anyone who needs the help of a carer to toilet to do so in appropriate, hygienic surroundings. 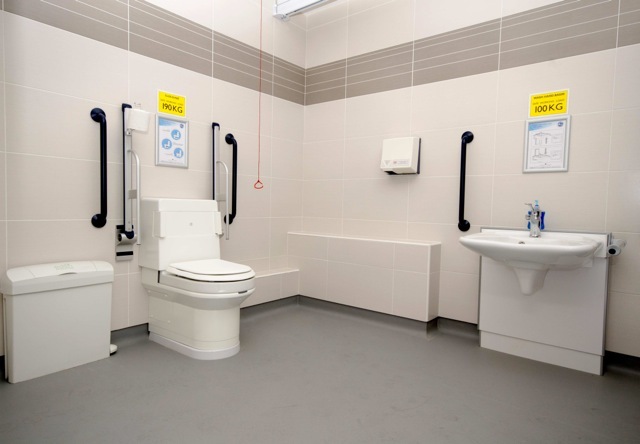 With more space than a standard wheelchair-accessible toilet, a Changing Places facility also includes as standard a hoist, privacy screen and a height adjustable changing bench, as well as a washbasin and peninsular toilet. Be the first to comment on "Changing Places to ‘Shop Till You Drop’"